When Revealed: Each player returns 1 enemy engaged with him to the staging area. 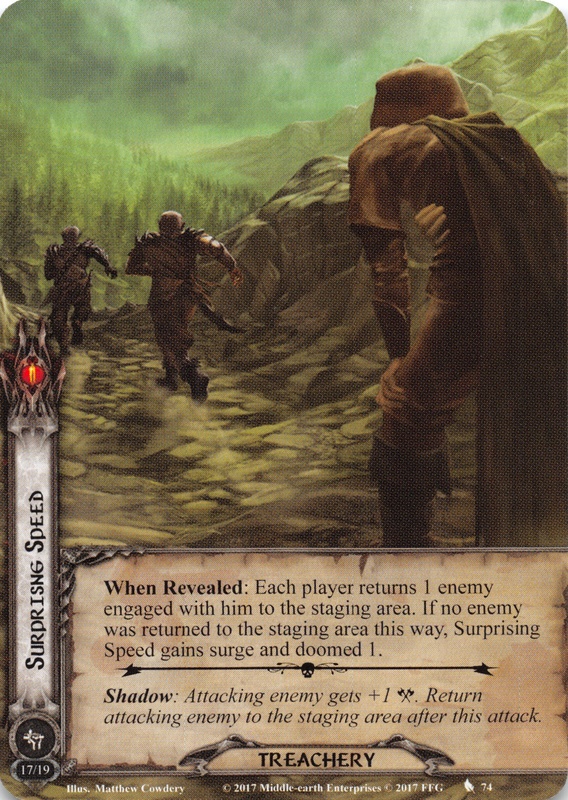 If no enemy was returned to the staging area this way, Surprising Speed gains surge and doomed 1. Shadow: Attacking enemy gets +1 . Return attacking enemy to the staging area after this attack.